As tech companies’ choose to stay private longer, a record number of privately held growth companies now call Israel home, some with a valuation topping $1 billion. Israeli serial entrepreneurs who have sold companies relatively early-on in the past, now hold on to their business ventures, using the experience they gained to help Israeli tech get bigger, seeking clients and not just prospective buyers. A relative buoyancy in tech IPOs in the U.S. seems to have skipped the Israeli market so far in 2018, but that does not mean local companies have had a bad run, and venture money is flowing. Some Israel-based companies raised over $100 million in single funding rounds, tapping global interest and a growing number of locally active hedge funds. In October, code management JFrog Ltd. announced a $165 million funding round. In September, business intelligence startup Sisense Ltd. announced it has raised $80 million, bringing the company’s total equity funding to around $200 million. The same month, automated medical diagnosis startup MeMed Diagnostics Ltd. announced Thursday it completed a $70 million funding round. 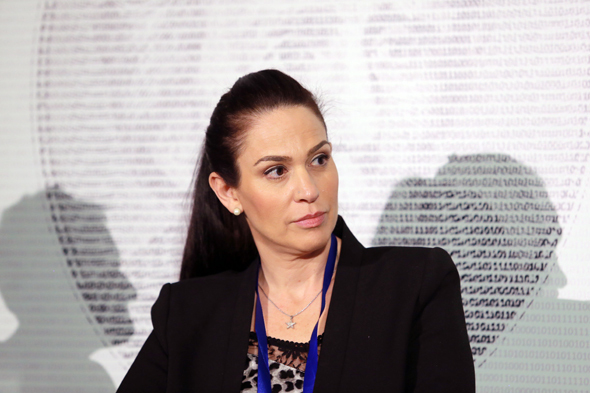 A low-interest environment means new types of capital are flowing into venture investments, Yifat Oron, CEO of Israeli bank Leumi Group’s tech arm LeumiTech, said in an interview with Caclaist. Unlike public offerings, hefty private investment rounds do not inherently include a built-in mechanism that lets investors, entrepreneurs and startup employees monetize their success. While larger rounds give companies more runway when it comes to developing products, they also push valuations up, making acquisitions harder to come by. These trends have seen secondary markets gain steam globally and locally. In the past, Herzliya-based Israel Secondary Fund had to approach sellers and create its own opportunities, according to co-founder Dror Glass. Nowadays, sellers come to the fund, he said. And with so many mature tech companies around, the bar for a successful IPO continuously gets higher. Companies with revenues in the tens of millions of dollars may be able to list, but after going through the resource-consuming process of preparing for a public offering, may find it hard to gain traction, Oron said. Such companies will also need to get used to the quarterly public scrutiny that comes with going public, so different from relations with a small group of long-term investors, she added. Once they go public, companies have to realize that now they have one more product to sell—their own stock, said Asaf Homossany, managing director of Europe, the Middle East, and Africa at Nasdaq. The benefit, according to Homossany, is threefold: it gives companies new ways to get a hold of cash, gives investors and employees a way to trade their stocks and realize stock options, and makes the company itself more transparent, which in turns supplies gains in terms of perceived credibility and market visibility. The latter can help Israeli companies seeking to do business in the defense sector in the U.S., he added. In November 2017, LeumiTech and Nasdaq partnered to launch Gateway to Global Growth, a joint program offering entrepreneurs access to experts in growth-related domains of expertise, including investment banking, and IPOs. Barring rare and few examples, companies seeking to go public need to make sure they can accurately issue financial forecasts, a sore point for many Israel-based companies in the past. “A company that cannot provide accurate forecasts simply shouldn't list. It will lose investors’ confidence,” Oron said.